Ever wonder who manufactures those pull-top cans that makes it easier to get to a cold drink on a hot day? Or silently thank the inventor of the pull-tab on a can of soup when you can’t find your can opener? 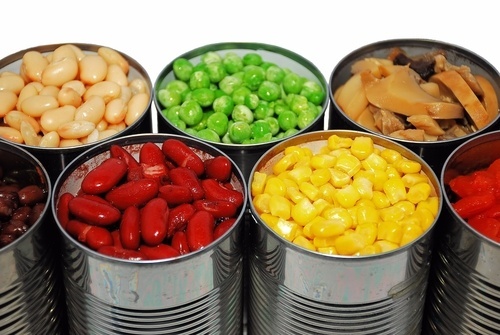 Chances are, if you’re a typical consumer, you don’t give canned foods much thought, other than being glad you have stocked your pantry with food and drink that comes in a can. For Silgan Containers, however, staying ahead of consumer wants and needs in rigid packaging for shelf-stable food and other consumer good products is a passion—so much so that this industry leader in the development of consumer-friendly rigid packaging such as steel and aluminum cans consistently invests in research that it shares with its food manufacturing customers so they can meet the needs of their customers. Today, a manufacturer working with Silgan can not only gain information about consumer trends in convenience, safety, sustainability, and the like, but it can also select from packaging options that include 3-piece welded cans, 2-piece steel and aluminum cans, 2-piece drawn and ironed steel, and sculptured metal—not to mention cans that are now available in bright, attention-getting colors. Silgan Containers, LLC, which today produces approximately 15 billion 100 percent recyclable metal food containers every year, holds the distinction of being the leading maker of metal food containers in North America, supplying such food manufacturing giants as Campbell Soup Company, Hormel Foods Corporation, Kraft Heinz company, Nestlé Group, and The Proctor & Gamble Company—to name a few. With its company-wide dedication to sustainability and consumer education, focused on encouraging consumer recycling of metal (steel) food cans, Silgan supports many industry initiatives that promote the benefits of recyclable metal packaging, particularly when it comes to affordable nutrition. The company encourages consumers via “Canbassadors” that show home cooks how to prepare delicious and nutritious meals from pantry (also known as “cantry”) staples in metal packaging. If you’re Silgan, you even offer a “Sustainability Calculator” on your website, so people can learn first-hand how the impact of recycling as few as one can per day or as many as 10 or more can benefit the planet. Small wonder, then, that Silgan Holdings (Nasdaq: SLGN), parent company of Silgan Containers, today ranks #629 on the Fortune 1000 list and boasts 2017 annual net sales of approximately $4.1 billion from its 99 manufacturing facilities in North America, Europe, Asia and South America. When this giant manufacturer acquired part of the business from another manufacturer, it also acquired that manufacturer’s Avaya systems. Because Continuant was the maintenance and service provider for the company that Silgan acquired, Silgan gave Continuant the opportunity to conduct a global implementation. Essentially, Continuant worked to bring each new system on line, location by location—from the USA to Sao Paulo, Brazil to Milano, Italy, to Singapore, PR China. Working on those systems also included pushing through a challenging license transfer and upgrade to Avaya Aura Communications Manager 7.x to make the transition work.